While it is possible to generate custom reports based on historical data, the interface is not very robust. For instance, you cannot filter your reports based on, say, departments. I don’t like needing 4 responses before seeing results. I feel functionality for quick surveys can be improved. Assistance on more best practices. The great advantage of Quick Base is that you can pretty much mimic the functionality of an app like 15Five on it. That, however, is easier said than done because it is difficult to find talented Quick Base developers and the cost model of Quick Base can make it prohibitively expensive for most mid-sized organizations. No comparison, this really measured engagement by asking the right questions and ways to really understand the data. It is extremely difficult to gauge ROI for a tool like 15Five, but as a company, we've found a lot of value in it for byte-sized, weekly performance management. I can’t capture onboarding per class when we have less than 4 respond. It took some conversations to understand the meaning of a couple of questions. 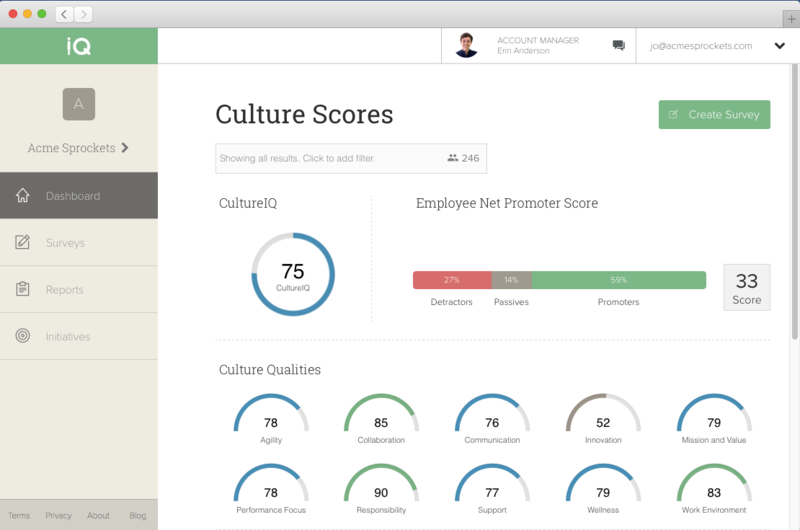 Culture scorecard used to track key culture metrics to drive engagement and performance.